What else is there to do on a lazy cold Friday?! 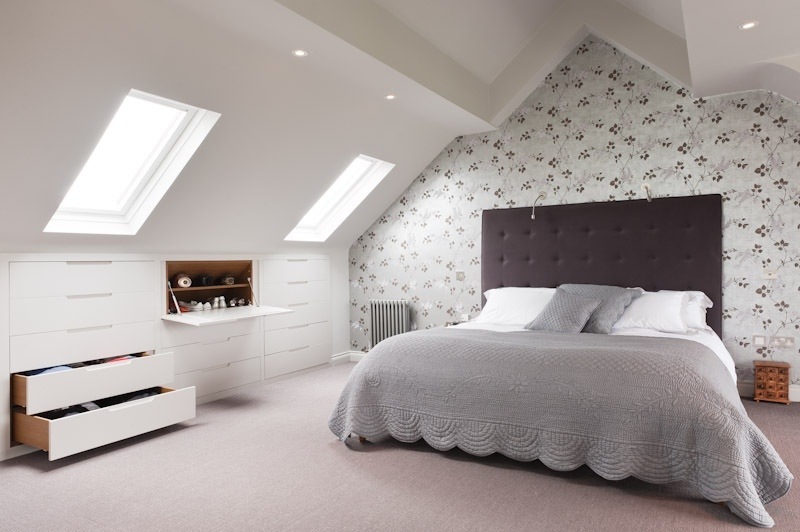 Why not start dreaming/planning a loft conversion and getting some inspiration from others.. So here we go! Project parents loft retreat is launched! 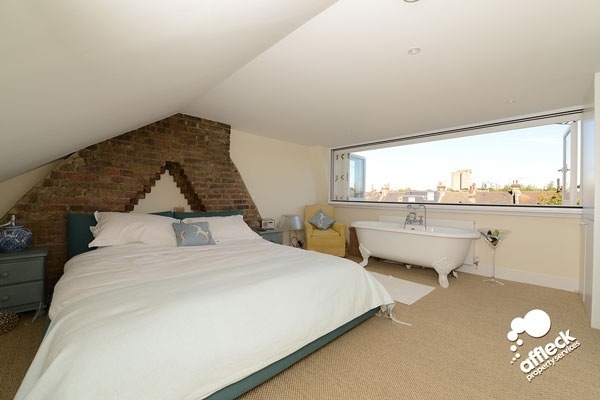 I do find it a little sad that since the kids have taken over our life so much that we need to escape to the roof space and leave them the rest of the house… But no, I’ll justify it by saying it would be nice to have space for when family and friends stay. Currently it’s a bit of a debacle having to move cots and rooms around when people stay for any more than a night. To start my inspiration I’ve pulled together some dream ideas, as follows. Should be interesting to see the end result! 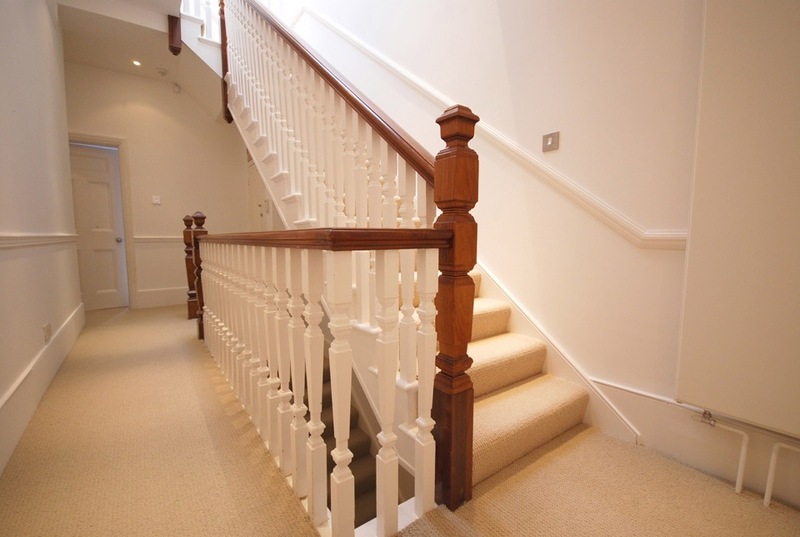 Similar to our current balustrades, I love the white and wood clean lines along with the seemingly heavy pile carpet. I’m completely in love with this little work space! Ah how nice it’d be to have a little nook to do my photography editing and blogging!! 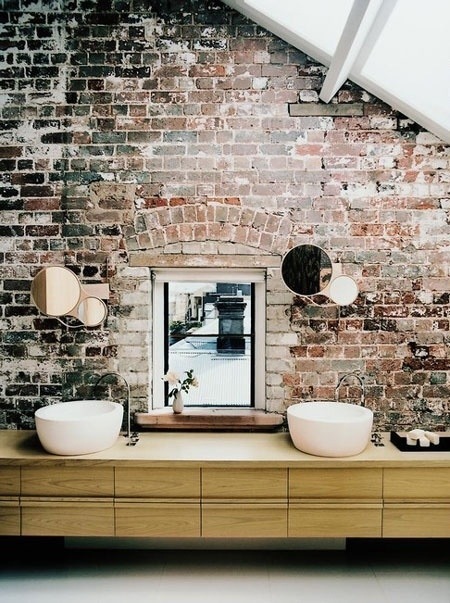 Dream..
Hmmm… More exposed brick in the bathroom! : ) Love! Some great storage ideas here. 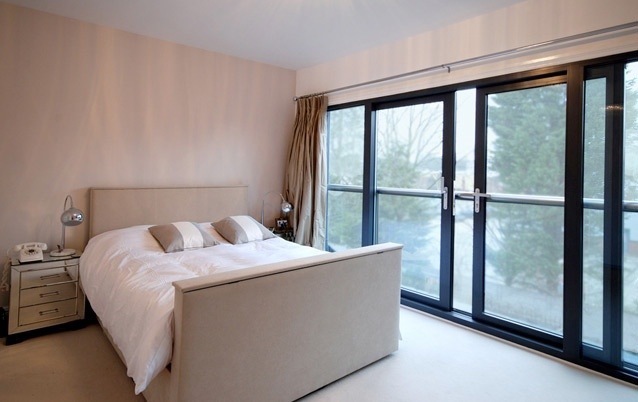 Making the most of the eaves space. A tidy house suits me well. 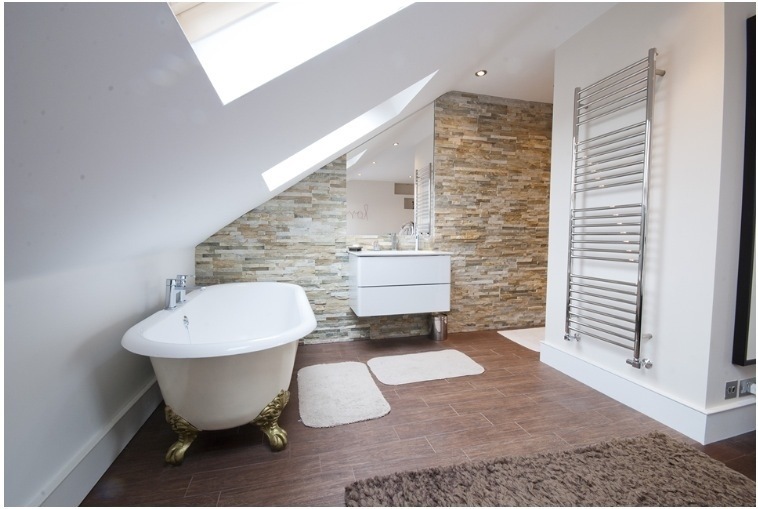 Love love love the use of space here and the open planned bathroom with the shower used as a room divider. Claw bath.. Another must! Well I think I have some inspiration. Just need to get some rough plans drawn up and we’ll go from there. 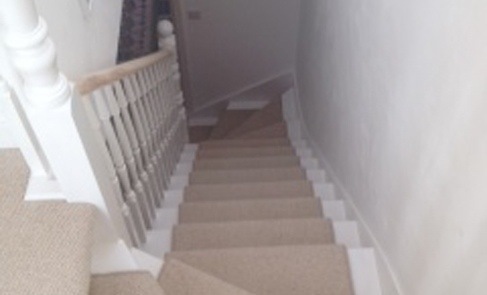 This entry was posted in Style and tagged conversion, house, Loft, London, stairs, style by whysamiam. Bookmark the permalink. 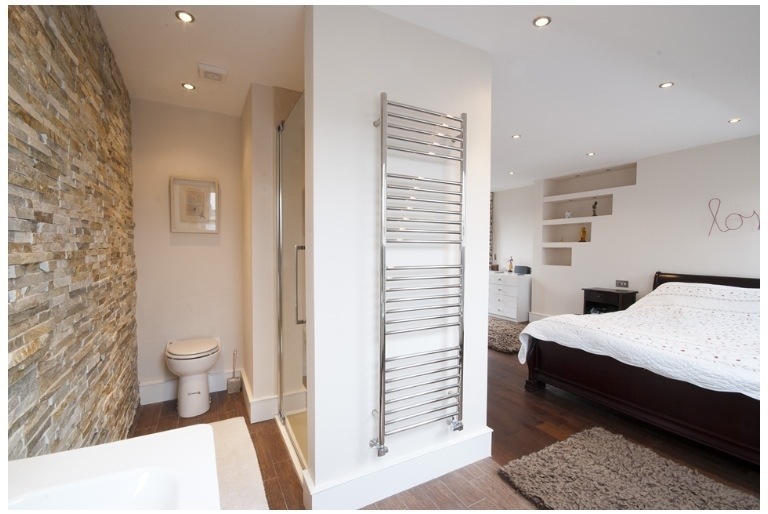 Particularly loved the shower divider, best of luck as you renovate.